Hipolit House in a branch of the Historical Museum of Krakow, located in the townhouse (Polish kamienica) near St. Mary’s Basilica. The building was turned into a museum in 2003 after a series of renovations. Its origins date back to 14th century and since then it had been owned by several middle-class families. 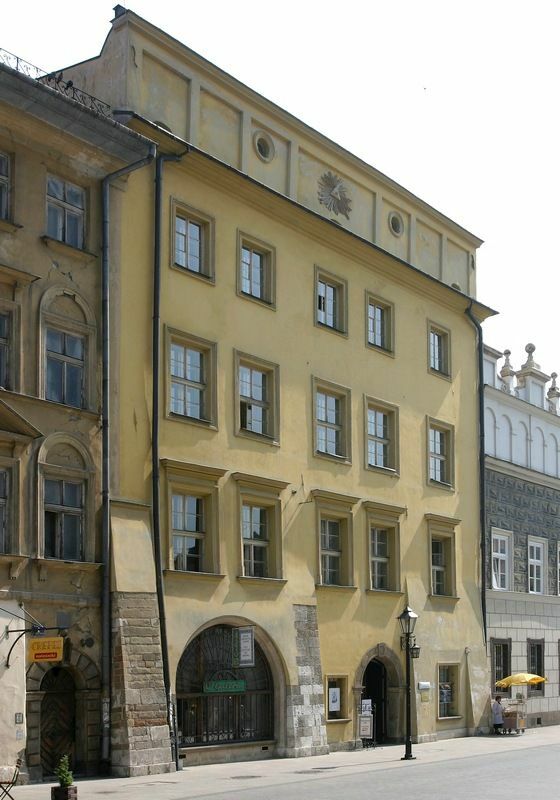 The museum owes its name to the Hipolit family – Italian merchants who settled in Krakow and owned this building in the 17th century. The two-storey building houses a permanent exhibition titled “Bourgeois house“, which shows how wealthy citizens of Krakow had lived from the 17th to the 19th century. The second floor features interiors of the late-19th-century family house. There is a “grandmother’s room”, cosy and a bit old-fashioned and a rather simply furnished “ladies’ room”, occupied by daughters. Heart of the bourgeois house is the dining room with a table in the middle, an oil lamp, a dresser with a variety of dishes and a table with the shiny samovar. High social status of householders is represented by the piano and large sofa. 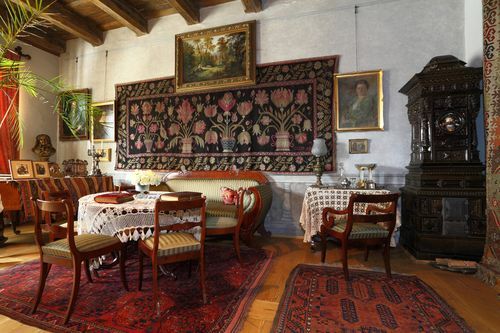 The drawing room is decorated with paintings and tapestries, as well as a dresser with lots of trinkets. Finally – the master bedroom, decorated with ornate furniture, and a marital bed. On the first floor, visitors can see, among others, the study of a rich burgher from the 17th century with beautiful stucco decorations by Baltazar Fontana. The decorative bedroom is an example of the rococo style with paintings in pastel colours and furniture with floral decoration. Drawing attention is the so-called “collectors’ hall”, room with a collection of various works of art – kind of a private mini-museum. Wednesday 10 a.m. – 5.30 p.m. 10 a.m. – 4 p.m.
Thursday 10 a.m. – 5.30 p.m. 12 a.m. – 7 p.m.
Friday, Saturday, Sunday 10 a.m. – 5.30 p.m. 10 a.m. – 4 p.m.
* Museum is closed on public holidays in Poland. * Free admission on Wednesdays.